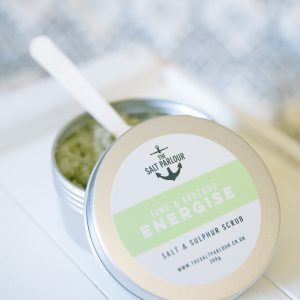 The Salt Parlour blend the goodness of the sea with natural vitamins, minerals and cold pressed essential oils. The salt scrubs leave your skin beautifully smooth, fresh and hydrated whilst uplifting and indulging the senses. 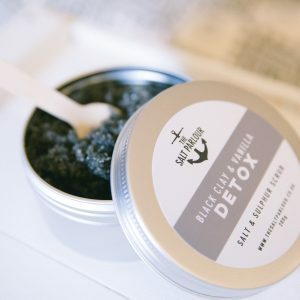 The Salt Parlour Black Clay & Vanilla DETOX. This scrub helps to lift the senses whilst giving you a lovely detox. 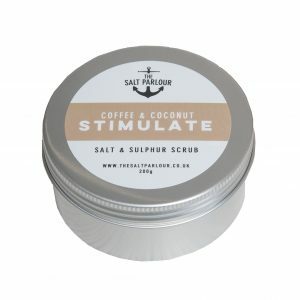 The high caffeine content of The Salt Parlour Coffee and Coconut salt and sulphur scrub stimulates blood flow, targeting cellulite, stretch marks and troubled skin conditions, and the fragrance will definitely perk up your senses! 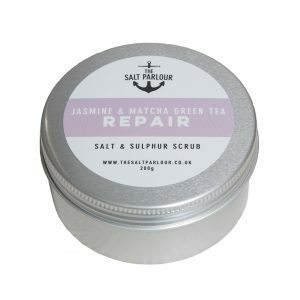 If your skin is in need of a little TLC, then The Salt Parlour Jasmine & Matcha Green Tea Scrub will leave you feeling like you've just stepped out of the spa! The fresh blend of mineral rich Dead Sea Salts, with the energising addition of cold-pressed zesty lime oil, offers antiseptic, astringent and disinfecting properties ideal for those suffering with acne and pimples. The Salt Parlour Rose & Shea Butter Scrub was awarded "EDITOR'S CHOICE" in the Beauty Shortlist Awards 2018! With blended mineral rich Dead Sea Salt, Pink Himalayan Salt and Rose Oil to calm and soothe the skin. 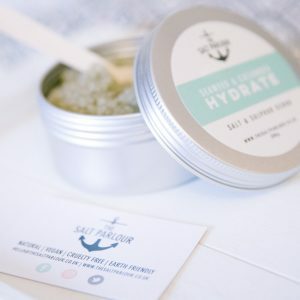 This sea scrub has been given a super cleansing boost with the addition of kelp powder, a good source of trace minerals, amino acids, polyphenols, fatty acids and vitamins - basically everything you need for healthy looking skin!